The all-new Xbox One has been unveiled. 'It changes everything,' said Xbox exec Marc Whitten, without a trace of hyperbole. The Xbox One is the first major new iteration of the games console since 2005 and packs quite the technological punch. From integrated TV, internet and gaming to voice recognition, a heart-rate monitor and a webcam that can see you in the dark, the unassuming black box is, well, almost ‘black box’. Gaming is still the Xbox One’s primary function but Microsoft’s aims are clearly much loftier: to create a one-stop entertainment centre. Want to watch live TV? Stream a video-on-demand service? Fiddle with your Fantasy Football line-up via the exclusive app while watching the match? Hell, you can flip easily between doing all of the above. To celebrate the launch of this new console, Microsoft is even trying its hand at content creation, securing the talents of none other than Steven Spielberg for its maiden effort. The Jaws, ET, and Saving Private Ryan director is creating a TV series based on the Halo game franchise, exclusively for the Xbox One (until it ends up on bit torrent, that is). ‘I’ve been playing games for decades,’ says Spielberg. ‘For me the Halo universe is an amazing opportunity to be at that intersection where technology and myth-making meet to produce something really ground-breaking.’ Ah, creative geniuses. They never make much sense, do they? Microsoft is also pouring resources into game R&D. It has also announced that it has more titles in development now than at any moment in Xbox’s 12-year history and reckons it can push out 15 exclusive games within the next year, eight of them brand new franchises. So what do gaming pundits and analysts make of Microsoft’s new beastie? ‘The Xbox One really looks to advance the state of video game technology and entertainment in a way that we haven't seen before,’ says Brian Blau, a director of Gartner Research. 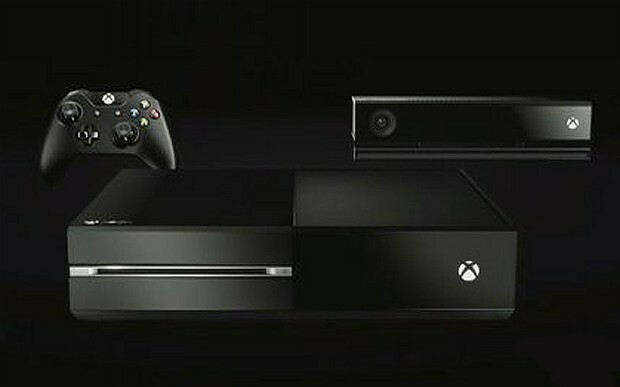 The Xbox One will be available to buy at the end of this year. If it's a hit with consumers, it could bring about a reversal of fortune for Microsoft, which has received a fair amount of flack in recent months (did someone say Windows 8?). But its tech rivals will not be sitting on their hands in the meanwhile. What will their next move be?